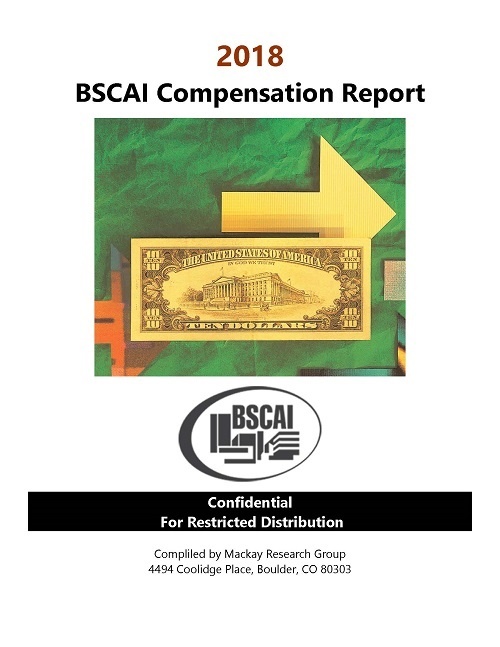 The 2018 BSCAI Compensation Report provides detailed analysis of exempt employee compensation including base salary, bonus, and total compensation along with detailed hourly wage rates and fringe benefits. Results profiled in this report are based on 2018 compensation and benefit data provided by 41 building services contractors, totaling 29,621 employees in 7 exempt employee classifications and 4 hourly employee wage classifications. The tables and graphs contained in this report are designed to provide comprehensive, yet straightforward guidelines for analyzing compensation packages among building services contractors. 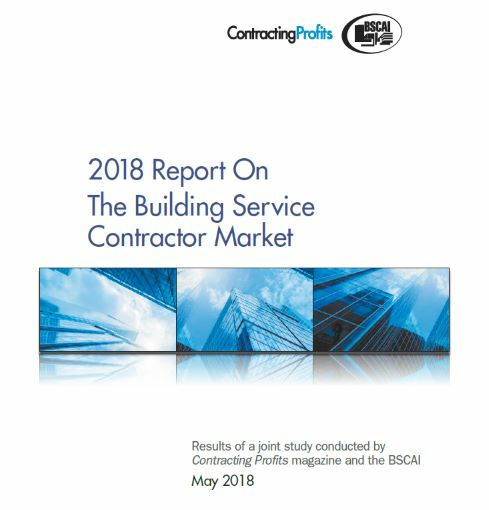 This survey was designed to target the purchasing habits and market growth of building service contractors (BSCs) nationwide in 2018. PLEASE NOTE: This report is FREE for all BSCAI members and non-members. 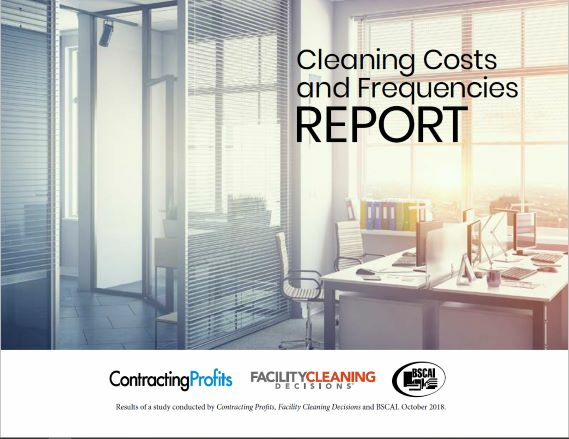 Contracting Profits, Facility Cleaning Decisions and the BSCAI recently surveyed more than 600 facilities representing a dozen facility types about their cleaning operations. The results, including data for commercial offices, K-12 schools, government facilities, retail stores, industrial facilities, religious buildings, colleges/universities, hospitals, outpatient clinics and more, are available in this new report. 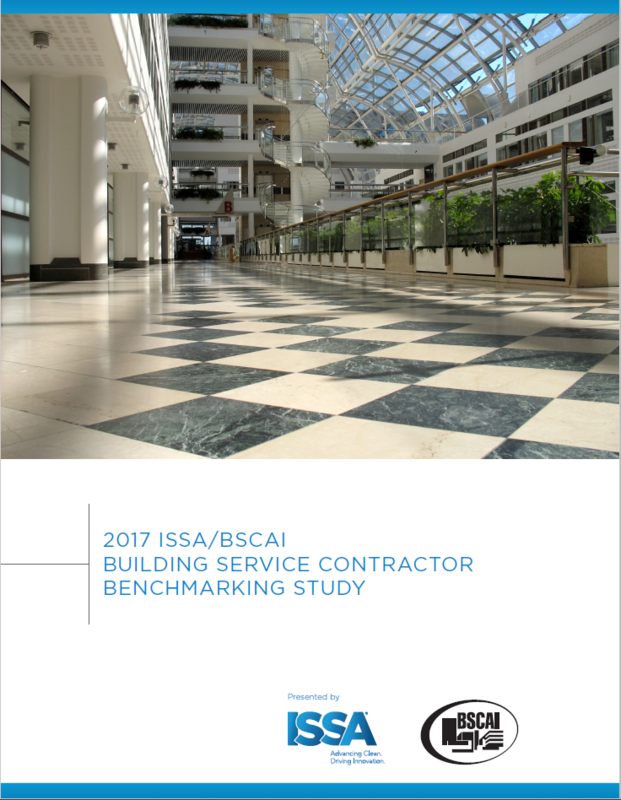 The BSCAI/ISSA Building Service Contractor Benchmarking Study was initiated by the Building Service Contractors Association International (BSCAI) and ISSA, the worldwide cleaning industry association, and conducted by independent, third-party professionals at Maximum Performance Group. The purpose of the study was to gather information and identify trends about building service contractor (BSC) firms in the commercial cleaning industry. This report provides a detailed account of the aggregated survey results, which were derived from unique survey questionnaires that ISSA- and BSCAI-member firms completed in the spring of 2017. Individual results are entirely anonymous, confidential, and not available to either ISSA or BSCAI staff.